All in a day's work for Desk. The unofficial Capcom game breaker has taken the Street Fighter IV series to showcase stun glitch goodies. Desk continues his assault on Capcom fighting games. 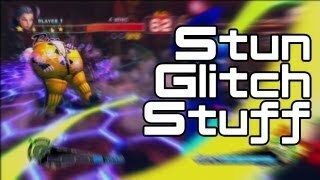 Stun glitches were seen on the uploader's final CMV for Super Street Fighter IV: Arcade Edition 2012. This video shows off more of the exploit. Moi is credited for the combo bug, while Error1 gets his due for the cinematic bug.